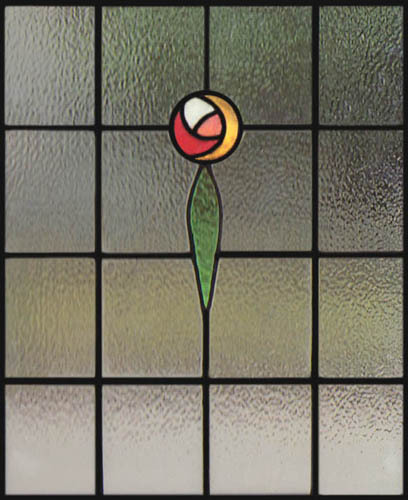 Scottish is inspired daily by actual Mackintosh stained glass. 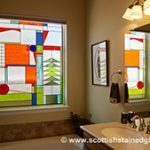 Charles Rennie Mackintosh Stained Glass designs are loved by every Scotsman not to mention our owner, Martin Faith, who was born in Scotland. 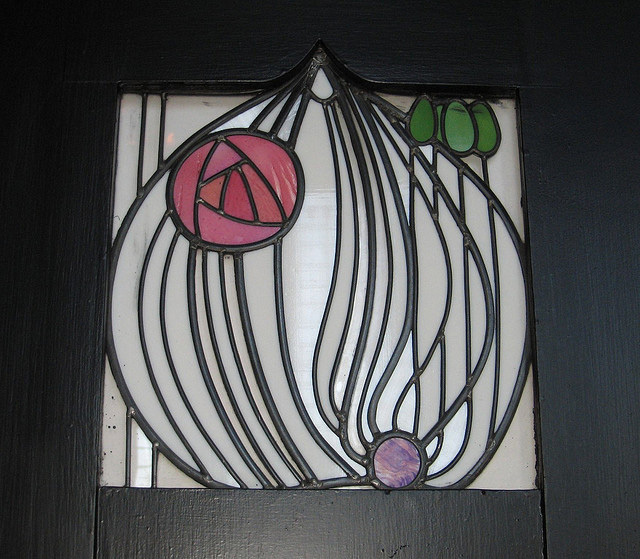 Charles Rennie Mackintosh (1868-1928) was born in Glasgow, Scotland. 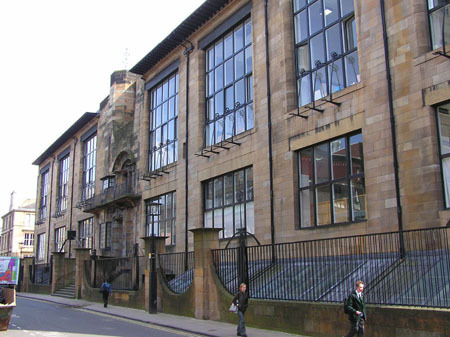 He not only attended the Glasgow School of Art but in 1896 was commissioned to design a new building for the School. 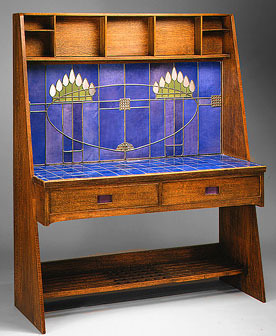 He was an Architect but also would design the entire interior of his buildings including the furniture and artwork including stained glass windows. 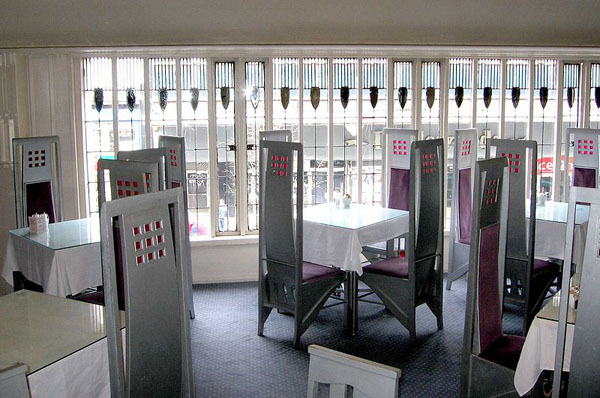 Anyone visiting Glasgow might like to know that three of Charles Rennie Mackintosh’s buildings were recently named among Glasgow’s “50 most important landmarks” They are the Glasgow School of Art, The Scotland Street School and the Mackintosh Church at Queen’s Cross. 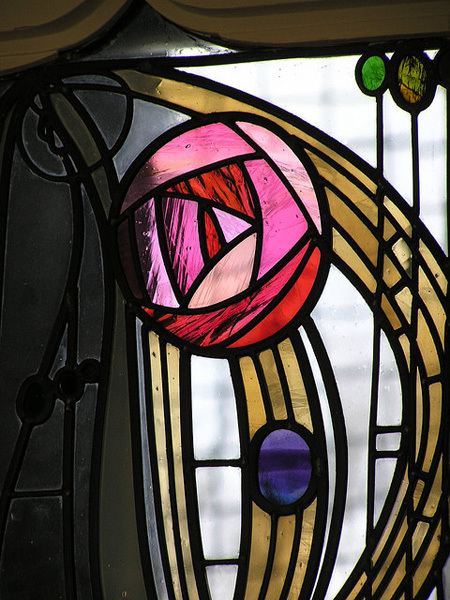 The use of stained glass in much of Mackintosh’s work has influenced thousands of stained glass artists around the world. 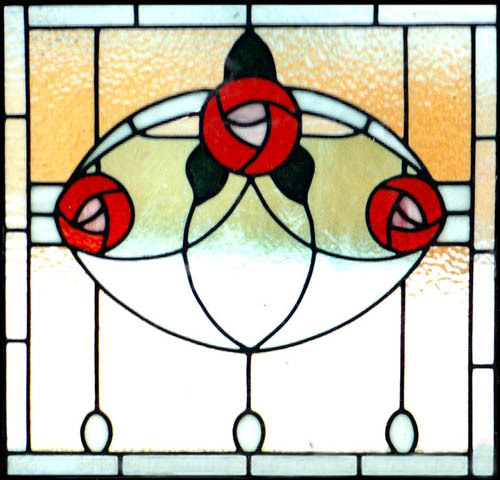 At Scottish Stained Glass we are careful not to copy his work but instead will add our own interpretation of the Mackintosh style. 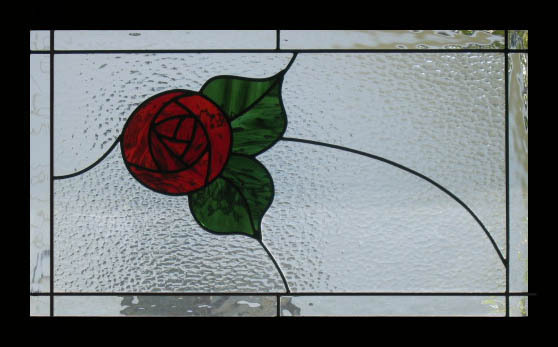 Most of our clients have specific sizes and shapes which they would like us to design stained glass to fit. 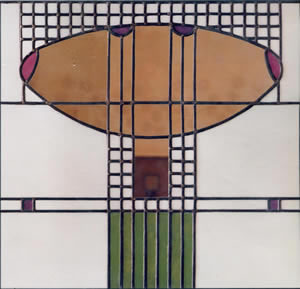 It therefore becomes rather important to think about the proportions of the original Mackintosh designs and balance this with the new stained glass project. 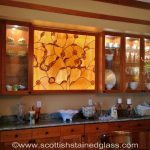 Scottish Stained Glass has been able to incorporate some of Mackintosh’s furniture designs and general artwork into our stained glass creations. 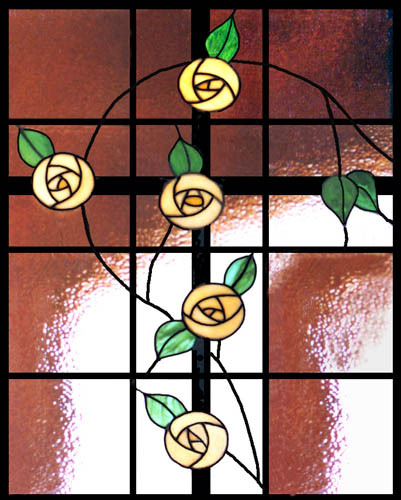 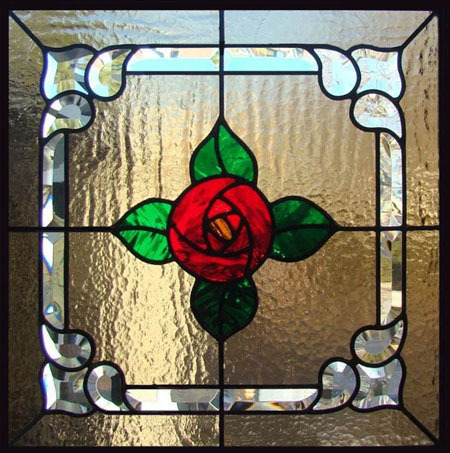 Mackintosh Stained Glass designs such as the 4 squares, (also used in our logo) and the Mackintosh Rose design, (sometimes called the Glasgow Rose, feature prominently in the work of Scottish Stained Glass. 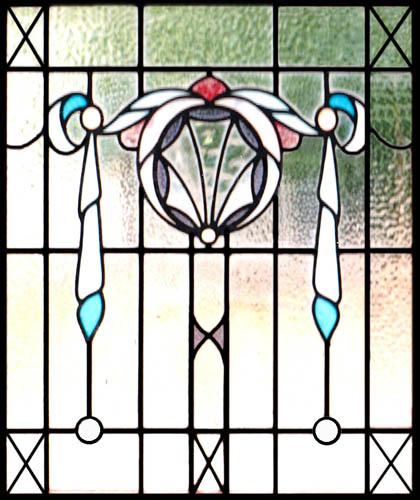 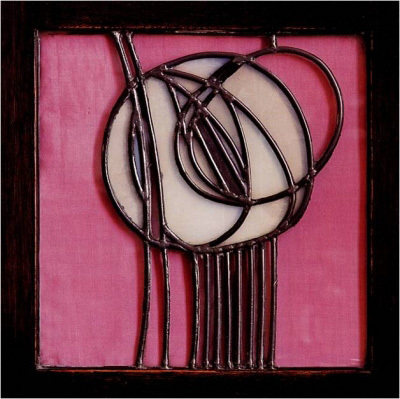 One of the great qualities of the stained glass designs of Charles Rennie Mackintosh was his ability to effortlessly move from very geometric “Mission Style” designs to free flowing “Art Nouveau” styles. 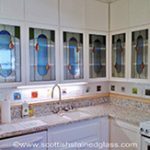 Sometimes at Scottish Stained Glass we have even combined both the geometric and the free flowing styles into a single design with some stunning results which we are really proud of. 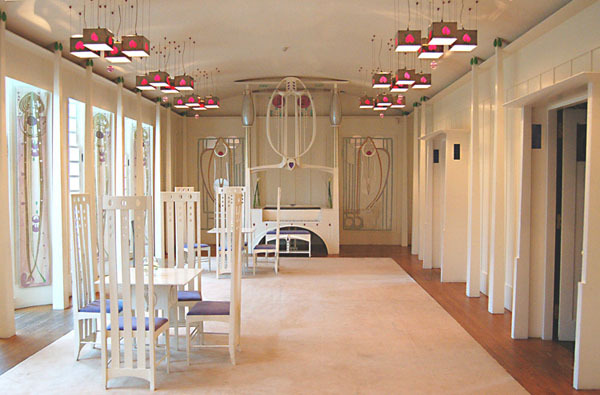 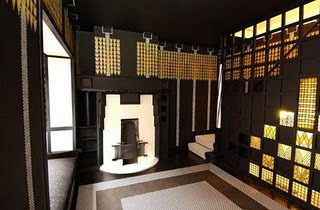 Using our CAD system we have designed and manufactured several hundred Mackintosh style designs. 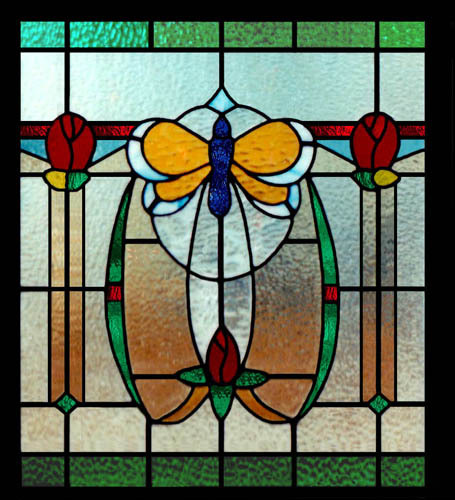 These now grace the homes of our clients all over the United States and around the world. 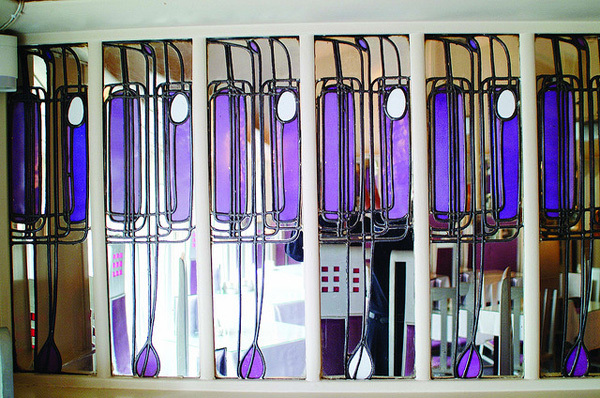 As you can see from the Scottish Stained Glass examples on this page the influence of Mackintosh can be enjoyed by almost everyone. 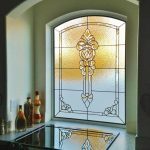 To get started in the design process simply send us an email or call our office with the dimensions of the stained glass you would like to create. 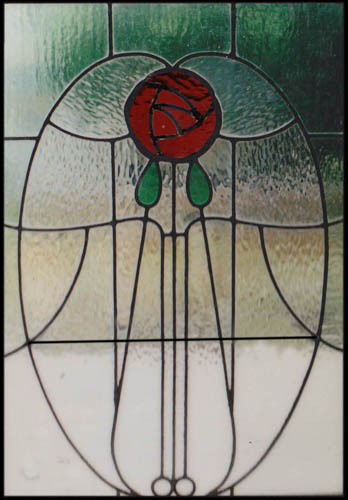 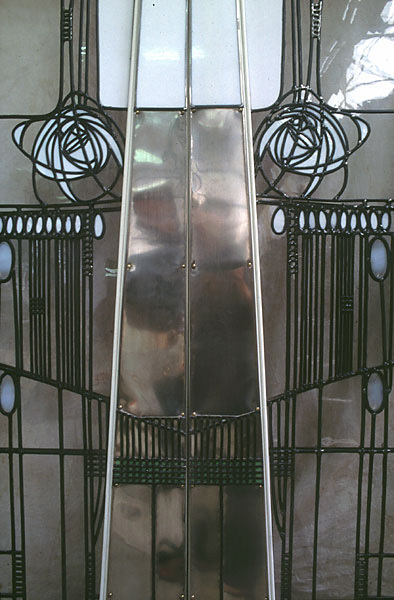 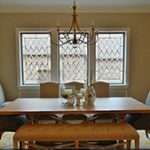 We will work with you to design a one of a kind Charles Rennie MacKintosh style panel for your window, door, transom or simply a beautiful artistic glass window to hang in your home. 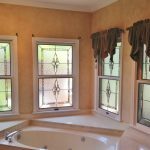 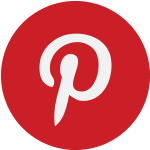 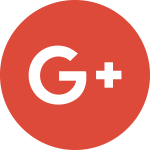 If you need the window panel installed we can even help with that, anywhere in the US. 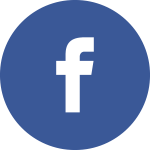 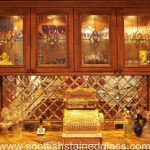 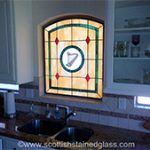 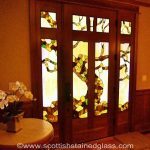 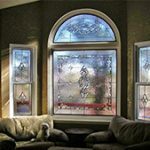 Scottish Stained Glass is manufactured locally here in the USA and we will either ship it to you or arrange for one of our installers to visit your home and carry out the installation for you. 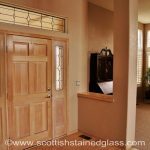 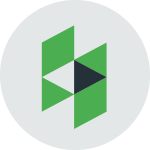 The actual installation is very simple so most home owners do it themselves and we have videos to show you how easy it is.